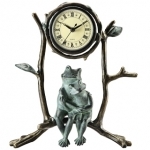 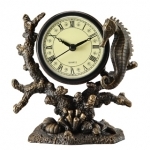 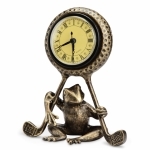 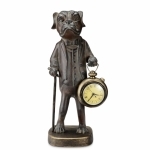 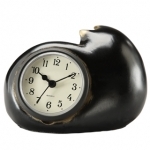 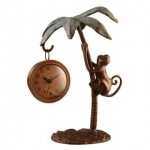 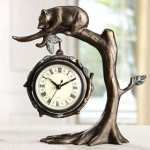 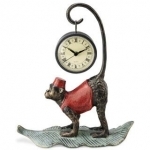 Wildlife Clocks - Click on an item for more details! 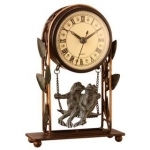 This unique Silver Bull & Bear Desk Clock is made of silver and marble with stunning detail finish. 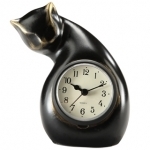 It can be used for Secret Messages, Love Notes, Jewelry, storing pens, precious Baby Keepsakes and other valuables. 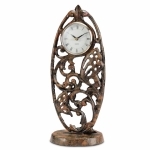 Silver/Marble, 4 inches H. x 9 inches W. x 4.5 inches D.